Bucket List Photo Challenge: Day 205. Day 205 of my Bucket List Photo Challenge! Yes, there were picnic tables. However, this was no ordinary picnic. 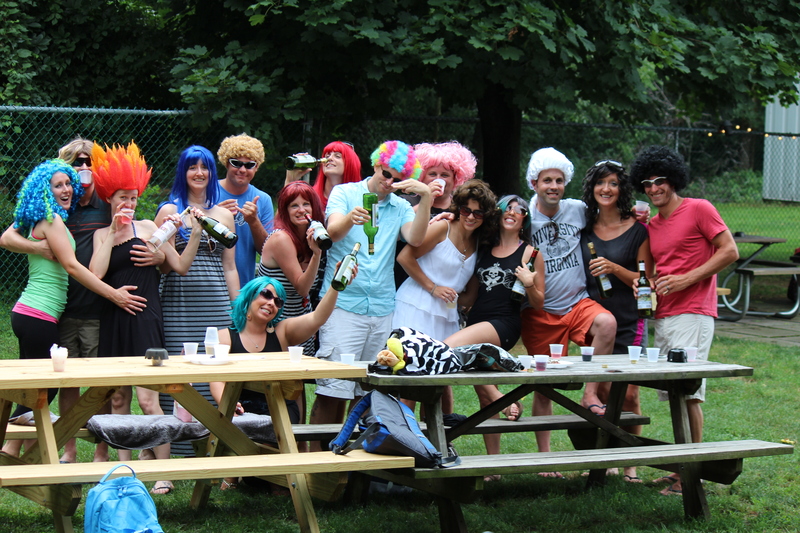 This was our 3rd Annual Put-in-Bay Wig Party. There ended up being close to 30 participants this year… officially doubling in size from last year. Next year’s shindig takes place on Saturday, July 19th, 2014. Join us at the picnic tables… if you dare! Let’s call this photo PICNIC and knock that word off the list! Bucket List Photo Challenge: Day 204. 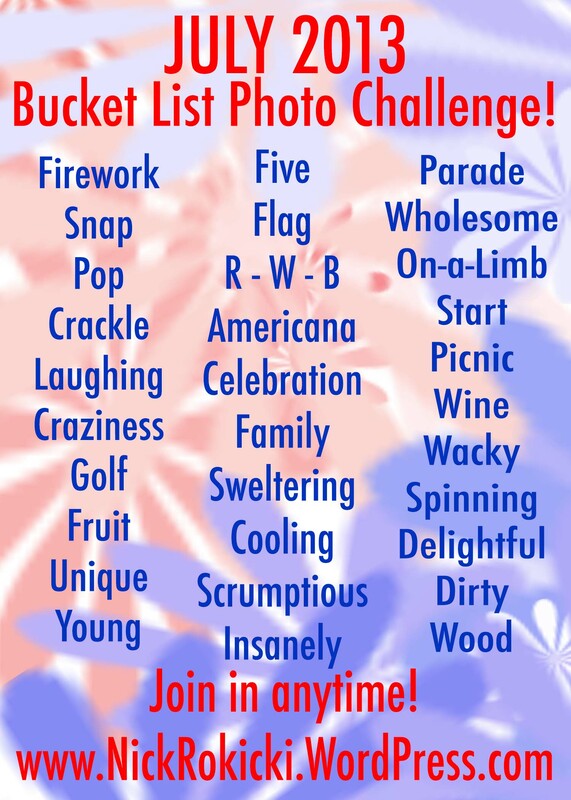 Day 204 of my Bucket List Photo Challenge! Laughing is one thing that I’m really, really good at. Laughing at others… laughing at myself. In this case, the joke was on me. During my camping vacation last week, I had been up for a few hours and noticed that there was coffee left in the pot. Deciding that it shouldn’t go to waste, I made myself a mid-morning pick-me-up. Coffee, Vodka, Chocolate Liquor, Amaretto… with a splash of half and half. It was liquid eggs. I didn’t even know someone else in the cabin had brought liquid eggs! But, it was in the same type of carton as the half and half. The worst part? I still drank the drink. Sure, I added the half and half, just to get my mind off the eggs. But I drank the damn drink! Everyone was laughing at me. 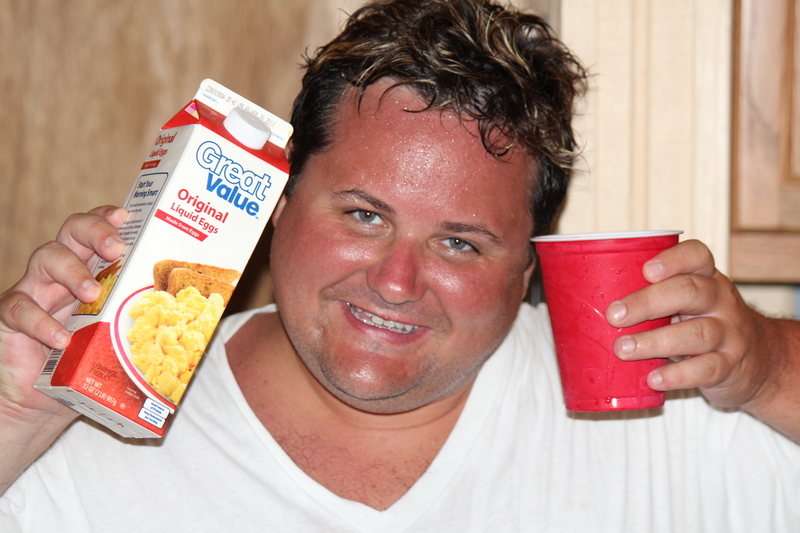 But I just cannot waste food items, especially when there is liquor involved. And the thing is? It really wasn’t bad. Let’s call this photo LAUGHING and knock that word off the list!